Spring is almost here (just a couple days until the first official day of spring!) so if you haven’t put away your winter decorations yet… like me… you might want to get on that this week. Before you can throw open the windows and air out the house, there are few thins you can do to get a jump on your spring cleaning. 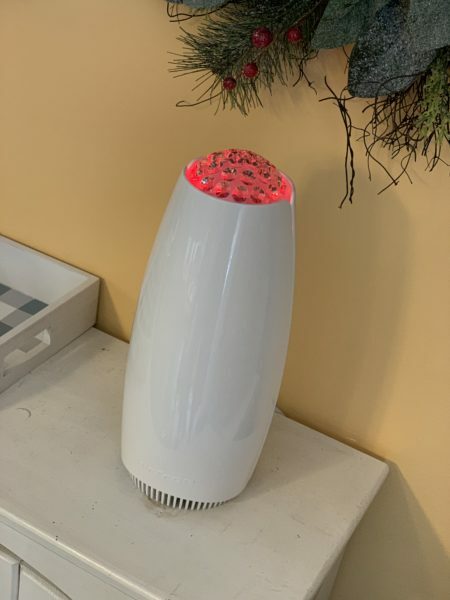 I’m starting by cleaning the air with the Airfree Tulip Filterless Air Purifier in my dining room. 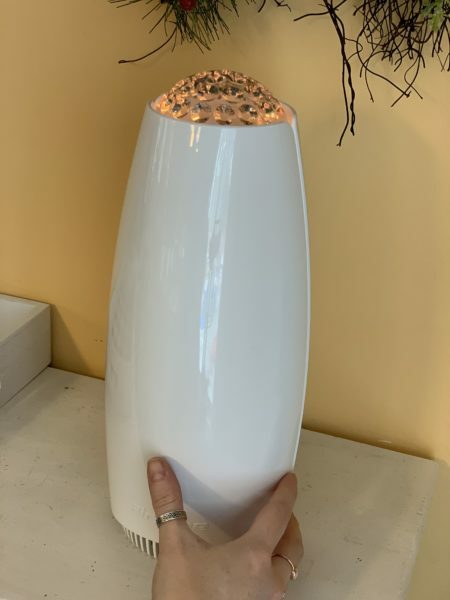 If you are looking for a safe and effective way to clean the air your family breathes, the Airfree Tulip is your answer. One of the most overlooked answers to spring cleaning is an air purifier. 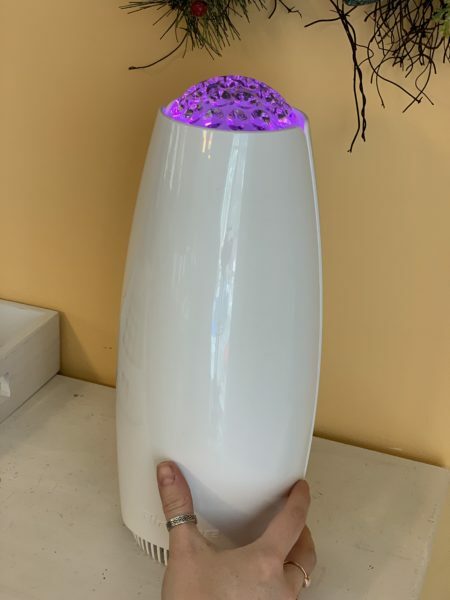 However, most standard air purifiers and air cleaners use disposable and costly filters that capture mold spores and can actually cause mold growth on the filter. While it’s getting the mold out of the air, it can actually cause more issues for allergy sufferers in the long run. That’s where Airfree comes in! 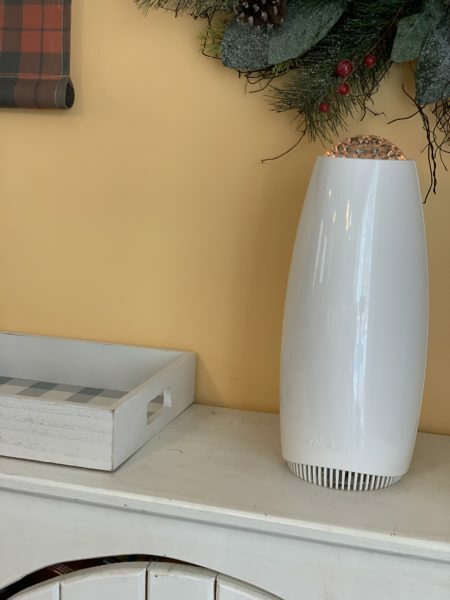 Airfree is a new kind of air purifier that actually sterilizes the air without the use of a filter and allows air to flow in and out while safely and effectively eliminating yucky airborne allergens like pollen, dust mites, and mold from the air you breath. 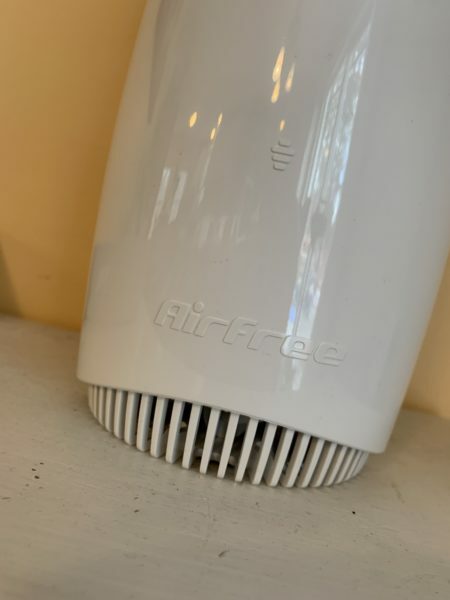 Airfree is the MOST TESTED purifier on the market right now. Airfree works differently than other air purifiers by taking in the indoor air and uses high heat to physically destroy all airborne particles, allergens, mold spores, and microbiological antigens and returns it to the environment, providing you with clean, sterile air that is safer and healthier for your family to breathe. 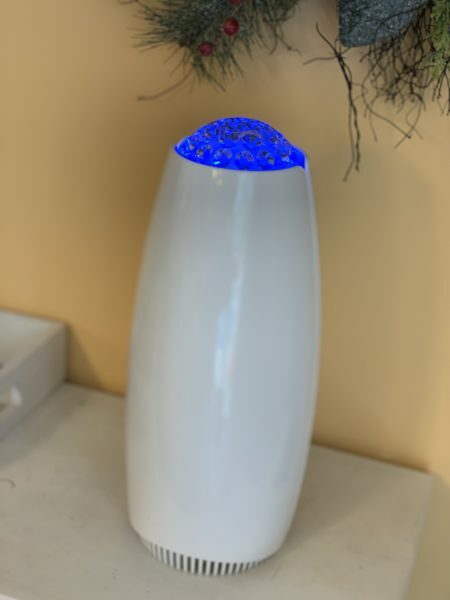 The Airfree Tulip has an adjustable nightlight with a range of colors to choose from or turn off the color completely. With just the touch of a finger on the touch button located on the front of the Tulip you can change the color display instantly. I like the peach to match my wall color. The Airfree Tulip can clean the air in an area or room up to 450 sq feet. Because it’s filterless, you don’t have to worry about monthly maintenance or replacing expensive filters. 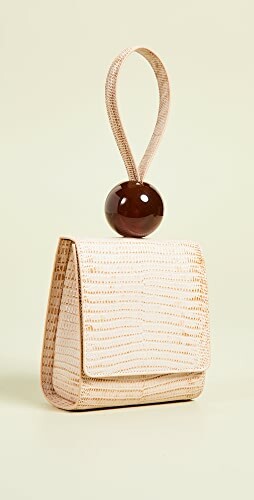 Not only is the Tulip small and compact, it is stylish allowing it to fit into any home decor. When my basement recently flooded, I had to go through a lot of boxes of our belongings to purge or repack the items in new boxes. 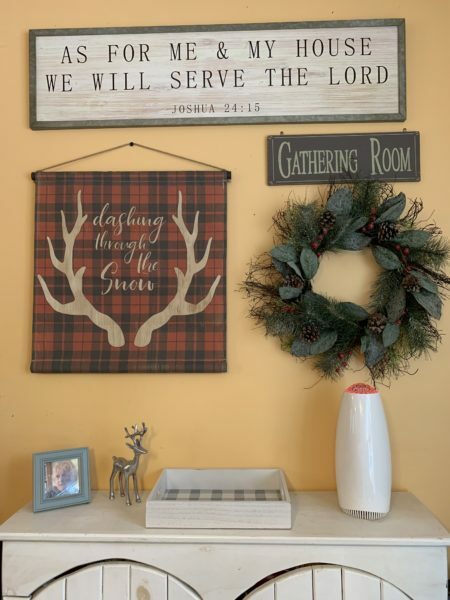 I did most of this process in my dining room which made the whole dining room and kitchen area smell like mold. After a week of not being able to stand the mold smell in the room, I received the Airfree in the mail to test and immediately plugged it in where I was working on repacking. Within hours there was a noticeable difference and within 48 hours, the mold smell in the air was almost undetectable. It was quite evident to everyone in the house that this air purifier was working effectively. 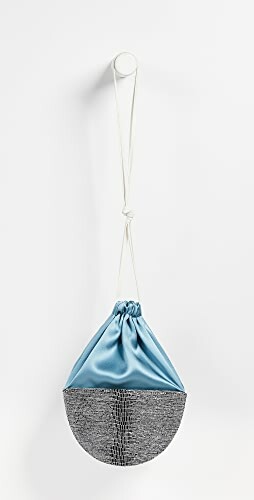 You can learn more about Airfree Tulip on their website and you can grab one for yourself on Amazon with free 2-day shipping or Bed Bath & Beyond. Disclaimer: We received this product for the purpose of product testing and review. All opinions are my own. For more information, please click here to read our policy. 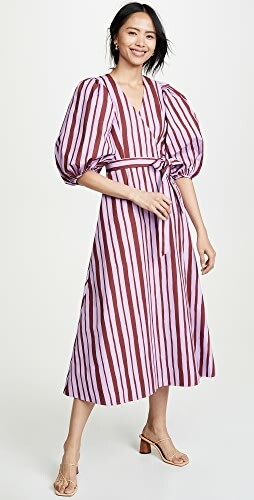 Shop Black Heel Booties, Pink Bikinis, Red Maxi Dresses, Black Pumps Sale and more. Get this widget.